Diablo 3 launched in 2012 with critical acclaim and the developer Blizzard Entertainment brought a new spin to the gameplay, however, according to Original Diablo designer, Diablo 3 would have looked like Diablo 2 if Blizzard North was the one developing the game. Speaking with IGN, David Brevik touched on the subject of what Diablo 3 would have been if Blizzard North had its way with the game. According to Brevik, the game would have been “much more like Diablo II-looking”. While Blizzard North was working on Diablo 3 at one point but, it was scrapped and while Blizzard delivered a fresh new take on the game but, the game was a buggy mess and littered with server issues. Blizzard Entertainment turned things around eventually with the launch of Reaper of Souls expansion for the game. According to Brevik, the expansion made Diablo 3 a much better game compared to what it was at launch and also added that “it was a fine game at launch, and I think that it really kind of held up the Diablo legacy”. However, Blizzard has not revealed if the studio is working on Diablo 4 or not but according to Goldman Sachs, Diablo 4 will release by 2020 and predicts that it will sell 15 million units. Also, Diablo 4 might also feature an extensive multiplayer component if the job listing is to be believed. What do you think of Diablo 2-looking Diablo 3? 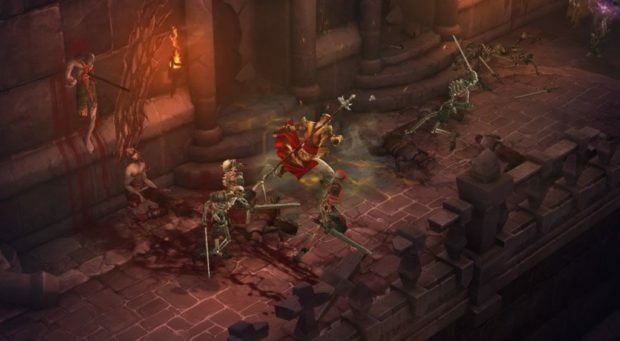 Would you like to see the next Diablo be similar to Diablo 2? Let us know in the comments.